Laura (Julianne Moore) and Kitty (Toni Collette) share an intimate moment when Laura consoles Kitty about her inability to get pregnant. 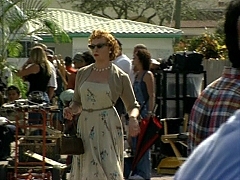 Laura (Julianne Moore) receives a visit from Kitty (Toni Collette), her upbeat neighbor. 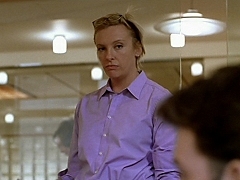 Sharon (Toni Collette) makes sure Margaret (Kestie Morassi) knows who's the boss. The Ryan's (Bryan Brown, Toni Collette) plan a hunting tour with their American guests. Barry (Bryan Brown) and Sharon (Toni Collette) get ready for bed. 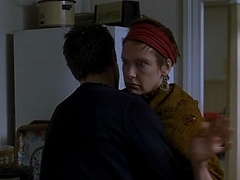 Will (Hugh Grant) and Fiona (Toni Collette) try to deal with each other to support Marcus. 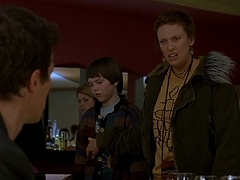 Fiona (Toni Collette) confronts Will (Hugh Grant) with his and her son's friendship. Marcus (Nicholas Hoult) is suffering under the pressure of living with a depressed mother (Toni Collette). The situation gets worse as Gavin's (Ben Affleck) plan to intimidate backfires. 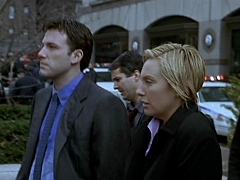 Gavin (Ben Affleck) and Michelle (Toni Collette) try to get the files back. 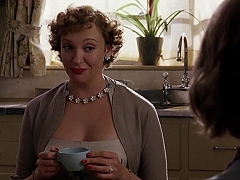 Michelle (Toni Collette) tries to offer Gavin (Ben Affleck) some half-legal advice. B-Roll from the making of "The Hours", including Kitty's arrival at Laura Brown's house and more footage with Toni Collette and Julianne Moore. 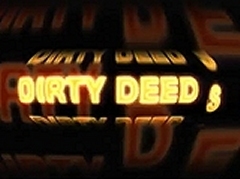 Toni Collette is interviewed on the set of "Dirty Deeds". The team of "Dirty Deeds" throws a surprise birthday party for Sam Neill, which includes Toni Collette jumping out of a cake. Excerpt from the making of "The Sixth Sense", including an interview with Toni Collette. Promotional featurette for the US release of Changing Lanes, including interviews with Ben Affleck, Samuel L. Jackson and Toni Collette. Toni Collette is interviewed on the set of "Changing Lanes". 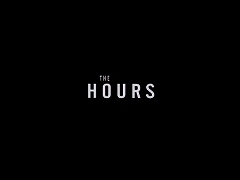 Theatrical trailer for "The Hours", directed by Stephen Daldry and starring Meryl Streep, Julianne Moore and Nicole Kidman. Theatrical trailer for "Dirty Deeds", directed b David Cesar and starring Bryan Brown, Toni Collette, John Goodman and Sam Neill. Theatrical trailer for "About a Boy", directed by Chris and Paul Weitz and starring Hugh Grant and Toni Collette. 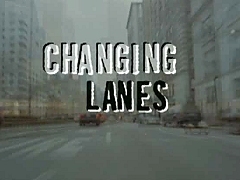 Theatrical trailer for "Changing Lanes", directed by Roger Michell and starring Samuel L. Jackson and Ben Affleck. April 14, 2002. 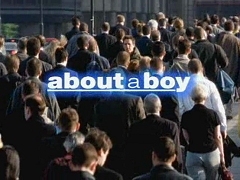 Report on the London premiere for About a Boy, featuring interviews with Hugh Grant, Toni Collette and Nicholas Hoult.